DAVID LE/Staff photo. 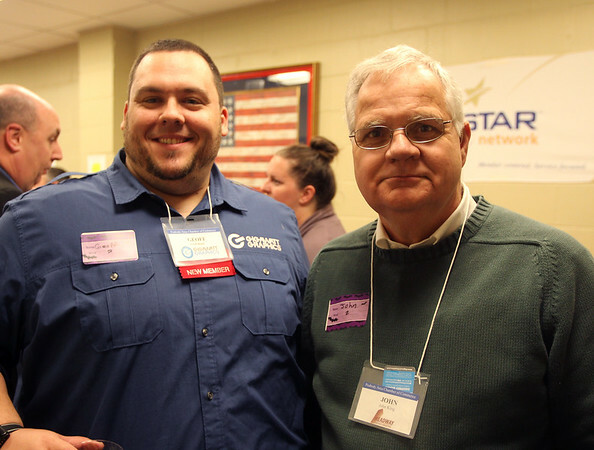 Geoff Bloom, of Gigawatt Graphics, and John King of Headway Strategies, at the Peabody Area Chamber of Commerce Business After Hours event held at Cranney Self Storage on Thursday evening. 10/29/15.